Soak up the history as you slurp down the snacks on this foodie walking tour of Manila’s historic downtown, Quiapo. 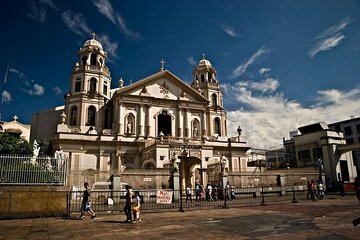 Visit Quiapo Church, San Sebastian Church, and two local markets, and ride a jeepney to the Muslim Quarter. Along the way, taste local delicacies, Filipino Muslim specialties, and classic snacks, as your guide unveils the grandeur of ages past.